But when it comes down to it, quick fixes = a Band-Aid solution. Actually, I shouldn’t even call it a “Band-Aid” solution because it’s more like the generic, no name brand “adhesive strip” solution 😆. That’s not what you want, is it? …this is part of the reason why ONE out of TWO of us now has blood sugar issues including pre-diabetes or type II diabetes. Yup, 50% of us struggle with keeping our blood sugar levels stable. These issues are due to one thing: insulin resistance. 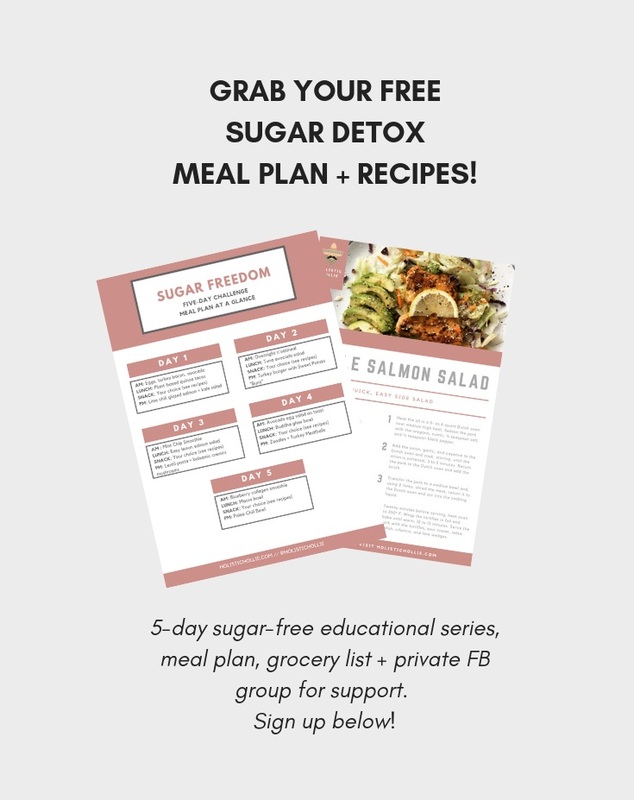 As part of my 5 Day Sugar Free Challenge, I talk about insulin’s role when it comes to your sugar cravings. Here’s an infographic all about insulin and what occurs when you consume excess amounts of sugar. I don’t think that deprivation should be a thing! Cause listen, there’s no way I’m giving up chocolate, it’s simply not an option for me. What is life if there is no chocolate? LOL dramatic much? I think not. Strategically place the words “anti-aging” on a skin-care product and you’ll likely hear any adult woman say, “yes, shut up and take my money!” Myself included 😂. What is it about looking younger? Why is it a $40 billion a year industry? …It's a finding that may help pre-diabetic women reduce their risk for heart disease through a low-carb diet. …it's pretty easy to feel like you just want to go hibernate in a cave for a couple months. Dramatic? Maybe. True? Probably. However, there is a glaring light at the end of that cave - Winter is over - time to get that energy back! Refined sugar is like that guy you know you shouldn't date, but you do anyway because it just feels good in that moment. Think about the long-term effects here people! So I'd like to publicly apologize to the man sitting next to me as I listened and laughed out loud a couple of times and prob looked a little cray #dontmindme. …I continued to see lovingly raised eyebrows from my friends and family as they watched me cook and enjoy "weird" foods. Sooo what I'm getting at here is that I've always been super passionate about nutrition and healthy living. …I know what you're thinking - "but it's from natural sources found in fruit!" You are right, but the natural stuff will rev up your sugar odometer into the red zone just as fast, sending your blood-sugar levels sky high.